CFTA Business Partners are companies and individuals who provide products and/or services to CFTA members, and who hold memberships in the Association. In addition to being members, companies may also engage as Diamond, Gold, or Bronze sponsors, which help defray the business expenses for CFTA. Our thanks and gratitude go out to all these friends who understand and participate in helping CFTA accomplish its mission. Please contact these supporters of CFTA's mission to find out more about their products and services. Founded in Houston, Texas in 1986, ACAD-Plus develops software solutions to enhance the Autodesk products in a Facilities Management environment. ACAD-Plus solutions manage and graphically present vital facilities information that is easy to understand. ACAD-Plus has been a member of the Autodesk Developer Network since 1988. Customers use ACAD-Plus solutions to manage over 400 million square feet of facilities. ACAD-Plus also provides building survey services and creation of "as-is" floor plans. The floor plan drawings are delivered 100% ready for use within CAFM solutions. Since 1986, ACAD-Plus has documented over 200 million square feet of facilities with a focus on Facilities Management products and services giving clients the integrated solutions they require to maximize efficiency. Advanced Solutions is a diversified technology company providing integrated software solutions and services, and encouraging innovation in the Architecture, Engineering, Construction and Manufacturing industries for more than 30 years. Advanced Solutions Design Software enables businesses to achieve more effective products, processes, technologies, and ideas. As a premier Autodesk Platinum Partner, Advanced Solutions Design Software holds eight Autodesk Platinum awards, is one of the top 3 partners in the United States, and one of the top 10 Autodesk partners globally. As an Autodesk Authorized Training Center, Advanced Solutions offers more than 100 Autodesk certified training classes, from courses covering the basics to advanced and specialized courses you won’t find elsewhere. Advanced Solutions works closely with clients to enhance software capabilities by creating custom extensions, automation, and plug-ins which integrate with internal systems. ASSA ABLOY, the global leader in door opening solutions, has a suite of BIM-enabled solutions, including the award-winning ASSA ABLOY Openings Studio®. Openings Studio is a BIM-software platform used to create, visualize and manage 3D openings & maintain current & accurate records of all opening information for the life of the building. Ensure the correct door and hardware design is used at the beginning of a project through the use of the newly-released Virtual Design Guide. This puts decision-making back in your hands, ensuring seamless communication, before the building is ever designed. Using the power of building information modeling, Openings Studio enables you to provide architects with specifications, door families, elevation sheets and more with just a click of the button. Openings made easy. CADD Microsystems specializes in all phases of the building lifecycle – from concept to design and planning, through construction, to operations and maintenance. We are an Autodesk Platinum Partner, an FM:Systems Certified Partner, an iOffice Certified Implementation Partner, a Bluebeam Platinum Partner, and a Global eTraining Platinum Partner. Our AEC, GIS and facilities management industry expertise allows us to address the unique challenges faced by owners and campus real estate and FM professionals. In addition to providing technical resources to support the use of your current Autodesk, ESRI and CAFM software solutions, we develop tailored Building Information Management (BIM) requirements, LOD, BIM Execution Plans and Revit content to form the backbone of your design and construction practice, to ensure consistency across all projects. We are unique in the industry in that we have practical experience with integrating BIM and FM by leveraging frameworks such as COBie. EcoDomus is an information technology firm focusing on improving the ways buildings are designed, built, managed and retrofitted using Building Information Modeling (BIM). EcoDomus is the leading such provider, bringing the value of BIM to building owners and occupiers for improved design and construction data collection and handover, facility management, operation and maintenance. EcoDomus’ key product, BIM FM, also supports integration of occupier business data with building data to allow analysis of interaction between business and facility. EcoDomus software provides a ‘Common Data Environment’ for all relevant types of information. It gives a 3D view of facilities in an easy-to-use format for facility managers that links the Asset Information Model (in BIM) with real-time facility operations data acquired by meters and sensors (Building Management Systems, BMS) and facility management (FM) software. This allows for intelligent analysis of a building’s performance and supports better maintenance practices, resulting in significant reductions in labor hours and energy use. Founded in 1984, FM:Systems helps higher education facilities and real estate professionals improve customer service, reduce costs, and increase productivity campus wide. 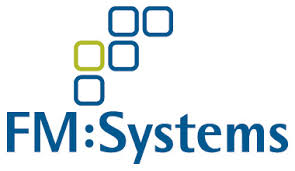 FM:Systems created FM:Interact, a Cloud-based Integrated Workplace Management System (IWMS). FM:Interact helps facility and real estate professionals improve the management of space, occupancy, assets, moves, maintenance, leases and property. Our customers have quick and easy access to facility information such as floor plans, reports, employee information and critical documents which can enable facilities teams to securely share information and manage facility processes more effectively that impact the entire institution. Founded in 1984, Hagerman & Company provides software and professional services for companies in the AEC, Manufacturing and related industries. Hagerman & Company offers a variety of software for data management from vendors including Autodesk, BlueCielo ECM Solutions and Synergis Software. Hagerman & Company also provides consulting services as well as their own proprietary software all with the goal to help clients select and implement the one solution that best allows them to survive and prosper in today's competitive environment. Hagerman has partnered with thousands of companies in the manufacturing, AEC and related industries to bring projects to market. The experienced staff guides clients to select, implement, and use software used to design, manufacture, construct, engineer, simulate, analyze and manage data. Planon delivers Computer Aided Facilities Management (CAFM) and Integrated Workplace Management Systems (IWMS) software to help national and multinational real estate owners and occupiers optimize workplace performance by simplifying business processes and reducing costs during every phase of the real estate lifecycle, from signing the contract and maintaining the buildings to optimizing space usage and meeting corporate sustainability objectives. For commercial service providers, Planon delivers an integrated software platform with specific functionality to create operating efficiency, increase customer value, and enable business innovation through radical process automation, seamless system integration and analytics. Planon customers benefit from proven global experience and support with leading best practice approaches. Experts in Building Lifecycle Management, IMAGINiT can assist you with technology and workflow support at every phase of your project – from concept to initial survey through design, build and management. While we are partners with Autodesk, Leica Geosystems and ARCHIBUS, we understand that your process is just as important as the tools that help it succeed. With in-depth knowledge of the tools you use every day and our unique solutions like Scan to BIM, IMAGINiT Clarity for Revit, and IMAGINiT Clarity Owner Data Portal, IMAGINiT is poised to help you get the most from your technology and team. Creating and maintaining architectural plans and models of existing buildings is our single focus. Our devotion to this single process has allowed us to become the absolute best building survey firm in the world. We provide our clients with the most accurate drawings and models within the shortest time frames. As a service provider, we perform building surveys worldwide for architects, engineers, facility professionals, and building owners. As a solutions partner, we provide facility professionals and building owners with linked, accurate building drawings and information. As a software developer, we provide building survey software and systems that allow our clients to produce accurate "As-Is" CAD/BIM architectural plan drawings/models with the same ease and efficiency that we utilize ourselves. Langan provides an integrated mix of engineering and environmental consulting services in support of land development projects, corporate real estate portfolios, and the energy industry. Clients include developers, property owners, public agencies, corporations, institutions, and energy companies around the world. 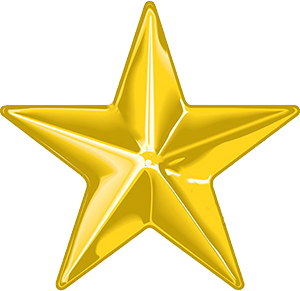 Langan’s engineers, scientists, landscape architects, planners, surveyors, and technical specialists are recognized as the best in their respective disciplines. Using sound principles and proven concepts, these professionals are skilled problem solvers who deliver a high level of quality on each and every project. The mission of Langan is to contribute to the success of their clients by providing an unmatched combination of our people’s technical excellence, practical experience, and responsiveness. BIM Engineering US is set up to be a hands-on resource to owners, developers, architects and contractors providing services in MEP Coordination, Engineering Design and Drafting, Laser Scanning and Point Cloud Modeling and Facilities Data Management. With more than a decade of industry experience and expertise in the AEC industry with government and institutional work, the key players understand the demand of construction industry and its challenges. With a highly-skilled resource team BIM Engineering US assures a high value of quality, reliability, transparency, cost-effectiveness and timeliness in project delivery. Dunaway is a professional services company with over 60 years of delivering results. With offices in Fort Worth, Austin, Midland, and San Antonio, a staff of over 170 employees provides services including civil engineering, structural engineering, planning and landscape architecture, environmental and surveying. T structural engineering team at Dunaway utilizes state-of-the-art visualization technologies that allow the engineers to explore the relationship between below ground infrastructure and above ground facilities for every project site. To streamline projects, Dunaway combines AutoCAD Civil 3D with Autodesk Revit in project review software Navisworks to advance coordination, detect potential conflicts and allow for time to make necessary changes. Messer specializes in managing, developing and performing complex commercial construction in the communities in which we live and work, and delivering value to clients through quality construction experiences. Founded in 1932, Messer’s track record of success can be traced to past and present architectural icons and institutions located across the Midwest and Southeast that foster healing, learning, service, and innovation. Messer has been using Building Information Modeling (BIM) for nearly a decade and has successfully completed nearly $5 billion of construction projects with this technology. The in-house BIM team has the proven expertise to lead the project team through BIM planning and execution to deliver a successful project from concept to ongoing management of the facility. Messer has used BIM in preconstruction for estimating and coordination relative to clash detection prior to fabricating products; during construction for quality control, and during closeout/post occupancy to provide owners with Construction Operations Building Information Exchange (COBie) data for use in ongoing maintenance and space management, after the construction phase is completed. NavVis was founded in 2013 to bridge the gap between outdoor and indoor digital maps. As a spin-off of the Technical University of Munich, NavVis’ computer vision based indoor positioning technology is based on years of academic research. NavVis continues to push the frontiers of digital mapping. Their revolutionary digital indoor products are being used by the world’s leading automotive, construction, real estate, logistics and insurance companies with over 30 partners worldwide using our technology to take indoors digital. Comprehensive construction site management is key for fast and successful project progress. NavVis technology enables clients to take construction site management to the next level, with seamless 3D and photorealistic documentation. NavVis also helps clients manage facilities with easy to use, visual building information models. Clients can capture the current state of a building and then visualize the inventory of assets in the IndoorViewer. Increase efficiency for employees and service providers with a digital overview of the environment they work in. Manage contractors and allow service providers to plan ahead by taking precise measurements and finding the correct route within the building. Open Spatial Australia is an Australian owned and operated company that specialises in providing World-Class Spatial Solutions to Utilities and Local and Central Government. Our Solutions are based on Open Geospatial compliant technologies through partnerships with Oracle and Autodesk. Open Spatial was established in Sydney Australia in March 2001 with a mission to deliver improvements in productivity and efficiencies to Geospatial data managers. These improvements are World-Class Open Geospatial Solutions with localised content for the Asia-Pacific region. 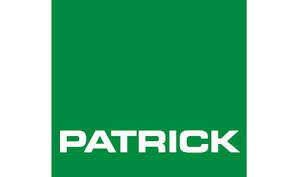 “Patrick Engineering Inc. (Patrick) is a nationwide engineering, design, project management, and geospatial solutions firm with a long history of success on a variety of complex infrastructure projects. Our client list includes government agencies, higher education institutions, private and public utilities, and FORTUNE 500 companies. We focus on providing concept planning, engineering, pre-construction services, procurement of materials, construction management, and enterprise technology solutions for heavy infrastructure and building projects. We accomplish this with technical experts in the fields of civil, structural, hydraulic, environmental, geotechnical, electrical engineering, relay & protection, geology, surveying, construction management, process control, asset & facility management, and geographic information systems (GIS). The InVision™ software suite from PenBay Solutions helps solve mission-critical challenges throughout the facility lifecycle—saving time and money, protecting lives and assets, and creating safe and productive environments for site visitors and building occupants. InVision informs clients’ mission-critical decisions by rendering their facilities portfolio—campuses, buildings, grounds, infrastructure, utilities, security systems, and assets—as they exist in the real world using data-rich, interactive maps, georeferenced floor plans (i.e., FloorMaps™), and graphical representations. This visual approach to organizing facility management data improves the insight, collaboration, and control clients have over the initiatives that impact their strategic goals. Whether the challenges are simple or complex, InVision helps clients more accurately understand and evaluate: what you have, where it is, what condition it’s in, what is needed, when it’s needed, who’s in charge, and what it will cost. When the iPad was unveiled in 2010, it marked the first generation of construction field-ready mobile technology. It was the moment when the idea for PlanGrid was invented, with a clear objective to make technology so intuitive and impactful that people in construction want to use it. Since then, PlanGrid has been used on over one million projects around the world and is the first Construction Productivity Software that allows contractors and owners in commercial, heavy civil, and other industries to work together throughout the project lifecycle. We’ve brought technology and ideas from other industries to automate the tedious tasks and free up teams to collaborate from anywhere. And there is no such thing as “good enough” here. We only build things to last. SpaceIQ is a IWMS/CAFM workplace management platform. It provides a suite of powerful, smart and easy-to-use workplace products like space planning, move management, and real estate forecasting. We help businesses increase engagement, fuel productivity and reduce costs through operational efficiency and centralized visibility. Our vision is to help companies transform their workplace from a cost center into a competitive advantage. We are already doing this for innovative companies like Snap, WeWork, Marketo, Nutanix, Leapfrog, Glassdoor and many more. From our offices in Pennsylvania and Florida tsaADVET provides sales, support and training for our customers throughout North America. tsaADVET has been providing Engineering Document Management Solutions (EDMS) for over three decades through our Falcon/DMS family of products. An EDMS solution today that does not address BIM and Project Collaboration would be incomplete. Our relationship as a Bluebeam Revu Reseller and Development Partner allows tsaADVET to address those issues with industry leading technologies such as Studio Prime. Our staff which includes Bluebeam Sales Professionals, Bluebeam Technical Consultants and Bluebeam Certified Instructors is ready to assist you.